PASADENA, Calif. — An eco-inspired full-service laundry where people feel comfortable, safe and clean, Fair Oaks Laundry works hard to deliver on its tagline—Clean. Green. Express. Occupying a highly visible street corner near Old Town Pasadena, Calif., Fair Oaks Laundry draws customers from all walks of life. The eco-friendly laundry combines high-efficiency, high-speed Continental Girbau laundry equipment with a gamut of craved services and amenities appealing to professionals, singles and families alike. “Now, rather than using a dirty coin laundry, customers can enjoy checking their morning e-mail while having a cup of coffee,” says owner Gary Thompson. “Focusing on a great customer experience is at the core of our business model, and it’s paid off for us. 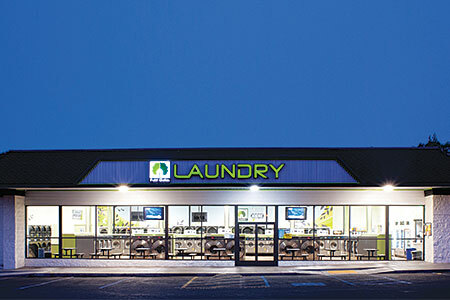 The 4,500-square-foot laundry is card-operated, fully attended, and offers fluff-and-fold, pickup and delivery, vending machines, free Wi-Fi, video games, flatscreen TVs, and a 60-minute wash and dry. It’s the culmination of his vision: a laundry offering time savings, efficiency and cleanliness. Because he lives in Los Angeles, where traffic is thick, Thompson says he is especially grateful for his store’s card and surveillance systems. From a remote laptop, tablet or cell phone, he can view the store via the security system’s on-premises video cameras, and use the Card Concepts card system to run reports that detail equipment usage and revenue, or launch in-store promotions. The system allows him to reward loyal customers by adding bonus dollars to their cards, issue new cards, and track card usage. Fair Oaks customers appreciate that, along with the store’s multitude of services. While self-service customers benefit from getting in and out of the laundry in an hour, others take advantage of timesaving fluff-and-fold service. Drop-off business has grown monthly, according to Thompson, and at last check made up 17% of the store’s total revenue. Big families, men between the ages of 18 and 40, busy moms, and commercial clients make up Fair Oaks’ drop-off clientele mix. With multiple laundry service offerings under one roof, Thompson enjoys several revenue streams, including video games and vending machines, which contribute 11% of total revenue. 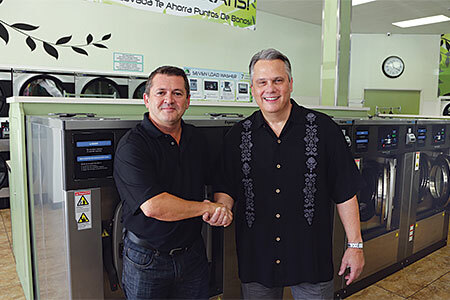 Working with Merrill, Thompson hopes to develop multiple Fair Oaks Laundry stores sharing the same services, equipment and trademark.